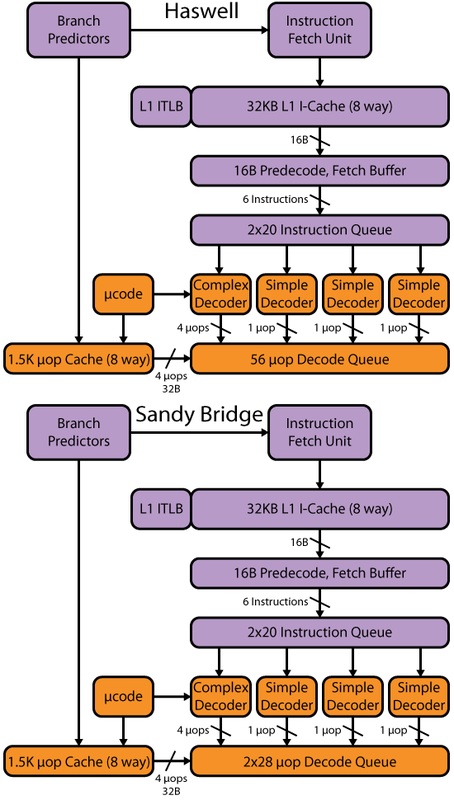 > >> coherency protocol advantage (no need for write intent hints etc). So it makes sense to me. > > like POWER does), and the LL of course always carries a load-for-store signal. > a fallback path) as long as certain conditions are met (including size of the code path). > would be valid and could work well even with a weaker guarantee than zSeries constrained transactions). Right. Power ISA provides for an architectural guarantee, although maybe it does not require it of implementations. IBM's POWERx CPUs obviously guarantee it. I can't remember the exact details and I don't have the ISA document handy, but indeed the requirement is a strict limit on the number and types of instructions between the ll and the sc. > > or to a memory controller if the cacheline is not owned, without blocking the core on the read. > some guarantees could be useful (e.g., with certain guarantees about multiple threads "simultaneously"
> incrementing a counter, software could avoid hierarchical counters). I don't see why that would be. If you have to wait for a reply from remote before making progress, it hardly matters whether that contains result of the operation or the data itself, does it?